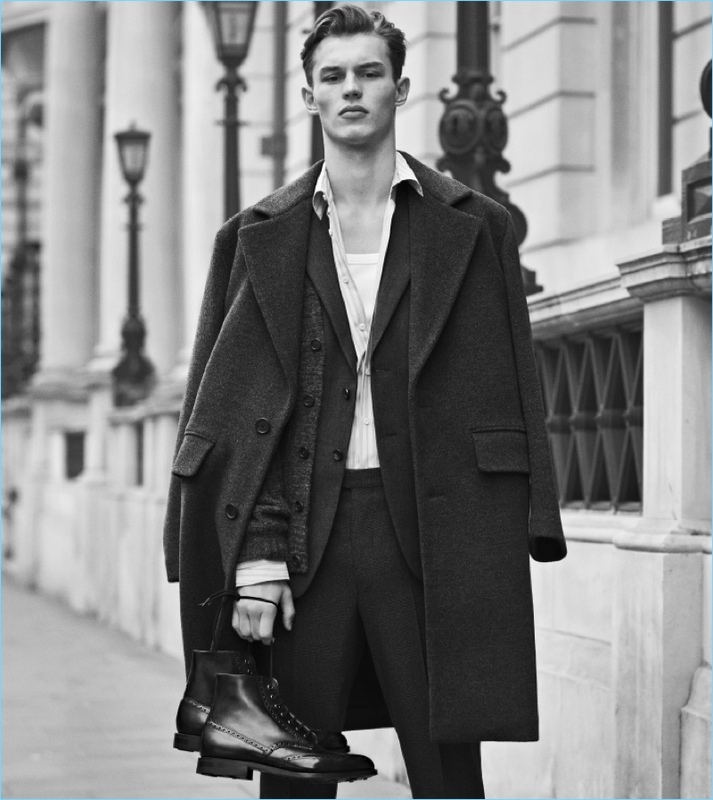 Posing with Church's Renwick leather boots, Kit Butler stars in the brand's fall-winter 2017 campaign. That first time you see a muddy smear spread across the side of your new boots can be infuriating, but avoid the temptation to start rubbing at the dirt. Wait until you get home later, when any marks are dried–and easier to remove. Grab your brush (plastic or wood is fine, so long as the bristles are in good shape) and start working the dried dirt off with gentle movements. It makes a mess, so either do this in your yard or put old newspapers down on the carpet. Keep your boots standing upright when you store them in your closet or shoe stand. If your boots flop to the left or right, they’ll start to crease, leading to imperfections in the leather earlier than they might otherwise form. Place them over boot trees to help sustain their shape and avoid any unnecessary creases or wrinkles. You need to dry your leather boots properly to get maximum bang for your buck. Invest in a boot dryer–either a traditional wooden stand or an electric one (for faster drying)–and leave your boots placed upside down to dry overnight. 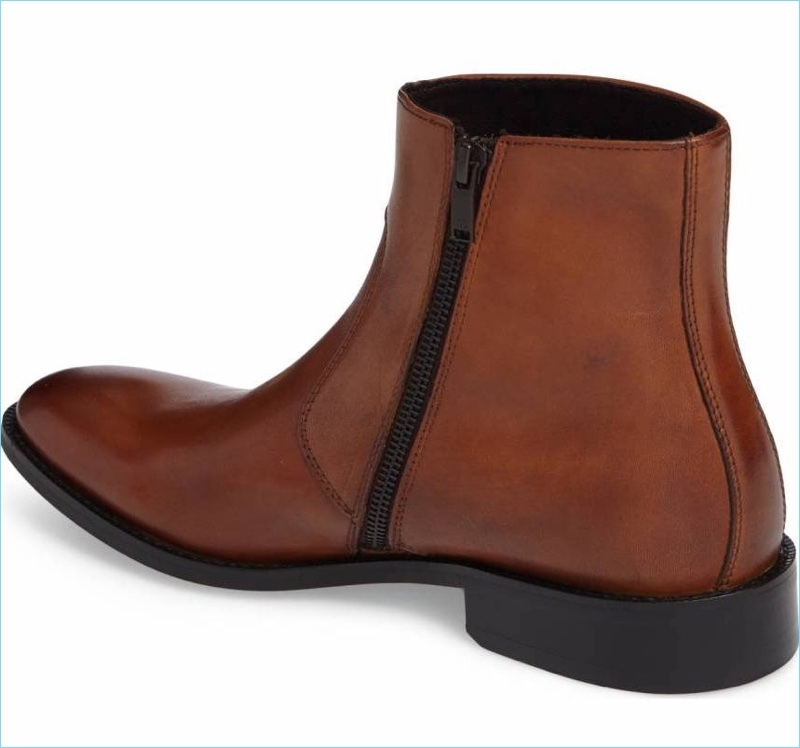 This is ideal if you need to wear boots everyday at work, rather than letting them stand outside and having to face soggy, uncomfortable feet the next day. Even though you might be tempted to leave your boots right next to the fireplace to dry, don’t. This can expose them to too much heat and cause premature cracks to form throughout the boot's upper. Add oil to your boots on a regular basis to help them stay supple and strong. First of all, take the laces out–they’ll only get in your way, and you don’t want to get oil all over them. Slip your hand into the boot, until your fingers press against the front, and massage a decent amount of oil into the leather. 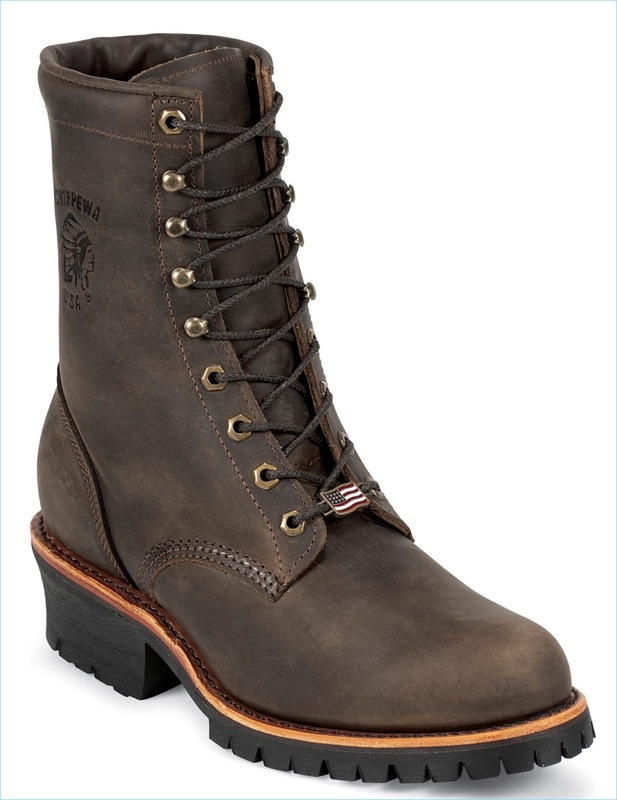 Concentrate on the space between the boots’ soles and uppers, including the seam. You’ll be preserving one of the most vulnerable and important parts of your boot. Rub oil into the rest of the boot, including the tongues, and all of the stitching. Try to do this every couple of weeks for the best results. Even the best leather boots need a touch-up now and then. The soles might start to feel a little less supportive after years of working on construction sites or hiking for miles on end, while the seams may wear away, allowing water to seep in. Take them to a shoe/boot specialist who will be happy to resole or repair them, to make your boots as good as new. This might not be cheap, but it’s far less-expensive than investing in a brand new pair. You’ll also get to keep the pair you’re used to, without having to wear fresh ones in (avoiding all the blisters this usually brings!). Chippewa 20091 - Redwood Logger Boots from Russell's. While leather will usually be fine in wet conditions, you should still try to avoid wearing your best boots in heavy downpours. Instead, have a pair exclusively for the wettest days, and treat them with a waterproofing spray on a regular basis. These reinforce the seams, preventing water from seeping in, and can also combat scuffs. Keep a pair of older boots for working or walking in the toughest weathers, rather than your best ones, and get as much wear out of them as you can. One great way to help your boots last much longer? Simple–buy one or two extra pairs! Yes, this is more expensive (and may be impractical), but buy more if you can afford it. Switch between pairs every other day, especially if you continually work in wet conditions, as damp boots will have longer to dry out. Paying extra for a couple of pairs will help them both last longer, instead of investing in just one that becomes worn down with repeated use day after day for years to come. Keeping your leather boots in their best condition will help them last far longer–follow these seven tips to reduce the need for expensive replacements sooner than you’d like. Have you found any other great ways to expand your boots’ lifespan?